Did you know that during the Holocaust, the Nazis ran a euthanasia programme, known as T4, that began as a way of cleansing Germany of "undesirable" disabled children? In mainstream secondary school history lessons about the Holocaust, no teacher ever told me this. The only clue I got about the Nazis attitude towards disabled people was when I was told that in a concentration camp, I would have been sent straight to the gas chambers, because I couldn't have done any physical work. Considering everything I had been told about the Nazis, I wasn't surprised. I do wish the T4 programme had been mentioned at school, though. Because no teacher ever hesitated to tell me that the Holocaust was about killing Jewish people. Did you know anything about how disabled slaves were treated? I had never even thought about this until I heard a speech about it last year. Yet when my teachers told me about the slave trade, they never hesitated to tell me it was about white people owning black people who were made to work in their houses for free. Did you know that King George VI had a very serious stammer? I didn't, until I watched The King's Speech (pictured). Yet no history teacher ever hesitated to tell me that King George VI was the father of the present Queen, Elizabeth II. Did you know that Prince Philip's mother was born deaf? I didn't, until I watched a very good recent documentary about her life, The Queen's Mother In Law. This programme also revealed that she had severe mental health issues. After the possible discovery of the skeleton of King Richard III and the revelation that he had scoliosis (curvature of the spine), I was informed by someone who has read Shakespeare's play Richard III that his disability is mentioned often throughout the script, but I had never been told about it in a history lesson. This made me realise that mainstream secondary schools teach children hardly anything about the disability links in history. As a disabled person, I believe that this should change. Just as lessons about the Holocaust were aimed at reducing religious discrimination, just as lessons about slavery were aimed at reducing racial discrimination, I believe that teaching children how disabled people were treated in important periods of history, or that historical figures were disabled, might just reduce disability discrimination, or maybe even disability hate crimes, in the future. That's why I have recently launched a campaign called Old Is Gold to get disability links taught in history lessons in schools. I have started up an e-petition on the government website. If it gets enough support, I hope the idea might get debated in parliament. If this campaign interests you, you can also follow it on Facebook at Teach Disability Links in History Lessons – Old is Gold. “I don’t want to take care of them,” Erica confesses in Episode 12 to the man she’s just slept with, speaking about her elderly parents. “Who does?” The man is the real estate broker who has just sold her parents’ home in San Francisco so that, after a year’s resentful debate, they can downsize. “I don’t know those kinds of people,” he says. Amy Lippman invented those characters, told them what to say, then directed all 13 episodes of “Ruth & Erica,” a YouTube drama about aging and caregiving. You can find the first one today on the female-centric channel called WIGS, which stands for Where It Gets Interesting. Each slickly produced “Ruth & Erica” episode runs about eight minutes. New ones will appear on Mondays, Wednesdays and Fridays; all 13 will live indefinitely online. Funny how the number of movies, TV shows and books that focus on aging, and on dementia in particular, keeps growing. “It’s sort of in the ether right now,” said Ms. Lippman, whose own parents recently sold their house — a painful step — in Northern California. I recently saw “Robot & Frank,” for example. It’s set in “the near future” when, apparently, people have even schmancier phones and zippier minicars and wonderfully helpful caregiving robots, but dementia remains incurable and elder care issues provoke as much family tension as ever. “Robot & Frank” didn’t climb into my personal Top Five Movies About Aging (since you asked: “Away from Her,” “The Iron Lady,” “The Savages,” “About Schmidt” and “Iris” — what’s your list? ), but it had its charms. “Ruth & Erica,” which unfolds over a year, goes deeper. The veteran actors Lois Smith (pictured) and Philip Baker Hall give wonderful, wrenching performances as Ruth and Harry Rappaport, who fight their only child’s suggestions of a move to a retirement community as Harry sinks into dementia. Maura Tierney (pictured) seems a decade or two too young to be their daughter. Flying in for visits and crisis management, she doesn’t look nearly careworn and frazzled enough. But she’s otherwise a very believable Erica — funny and honest and willing to say aloud what lots of adult children think. Producing scripted drama for the Web gave Ms. Lippman a shot at something that would have been hard to pull off in movies or television. “It’s an opportunity to tell an intimate, realistic story with absolutely no pyrotechnics,” she said. Welcome to reality. You are a teenager in the Bronx, and you have been shot by a gun. You have a spinal cord injury and a new identity: paraplegic. Life as you know it is changed in ways you never imagined. This was the reality of rap artists Namel "Tapwaterz" Norris and Ricardo "Rickfire" Velasquez, ages 17 and 19, respectively, at the time of their life-changing accidents. Mr. Norris, now 27, was at his sister's birthday party when his cousin began playing with a gun. A bullet struck him in the neck. Mr. Velasquez, now 32, was walking home from a party when saw a commotion ahead of him and heard someone shout about a gun. In an instant, he was on the ground, bleeding. Although they didn't know each other at the time, they shared a journey. They would spend their young adulthood dealing with changes to their bodies, their relationships and their understanding of themselves. They would face the challenge of crafting productive lives. And they would discover that their common passion for rap and hip hop was the key to a meaningful future. When they finally did meet, they realized that they could use the genre to portray their reality and to inspire people with spinal cord injuries and other disabilities to believe in themselves. They also shared the hope that they could influence at-risk youth to steer clear of gun violence. "Rap saved us," the two men have said of their journey. "It helped us regain our lives." 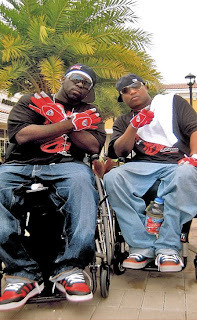 In 2006, they launched 4 Wheel City (www.4wheelcity.com) to showcase their message of survival. On Sept. 27, their "Welcome to Reality" tour comes to the August Wilson Center for African American Culture. The free program is sponsored by Pitt's Office of Health Sciences Diversity and School of Health and Rehabilitation Sciences. The population of Americans with spinal cord injury is overwhelmingly young and male, said Katherine Seelman, associate dean of Pitt's School of Health and Rehabilitation Sciences. Recent statistics indicate that 80 percent of individuals with the condition are men, and 56 percent acquired their injuries between the ages of 16 and 30. Young African-American men are disproportionately more likely than their white counterparts to acquire spinal cord injury from a gunshot wound, she added. "In spinal cord centers in cities such as Detroit and Los Angeles, gunshot wounds are the No. 1 cause of SCI." Such statistics and the stories behind them highlight the need that Mr. Norris and Mr. Velasquez set out to address. They saw that few people were reaching out specifically to African-Americans and Latinos with SCI. Hip hop music and culture could, they believed, be a powerful tool "to show the world that people with disabilities have talents and dreams and deserve to be treated equally." They began with performances at rehabilitation centers and high school assemblies. Lately, they've seen their message reach broader audiences. "It's happening organically," said Mr. Norris. "It's taking a new life form. People are expecting it of us now." In early September, they performed at the 2012 Summer Paralympics, which immediately followed the Olympics games in London. "It was breathtaking," said Mr. Norris. "Performing in the Olympic Park, traveling internationally, taking in culture. It was a real out-of-body experience." London was the latest in a string of high points that include performing at Philadelphia's National Constitution Center for the city's annual celebration of the Americans with Disabilities Act and coverage on CNN and ABC News. But the coup that may prove to be pivotal is their recent "Welcome to Reality" G-mix with Snoop Dogg. Through word of mouth, they scored an invitation to meet the renowned rapper and arrived with hopes of remixing their signature song, which urges youth to stay in school and off the streets. "We didn't know how it would go, but we told him our idea and he went for it," said Mr. Norris. Not only did Snoop remix the group's anthem, but also he added a verse. "Snoop supports the message, he's rapped about it in the past, but I think we accomplished something [different] by doing this," said Mr. Norris. "We brought him into our world." "Hip hop is empowering," affirmed Lester Bennett, 37, of East Liberty, a Pitt graduate who served on the planning committee to bring 4 Wheel City to Pittsburgh. Mr. Bennett sustained a spinal cord injury at age 19 during an attempted robbery at the South Hills Junction T station. "The show will be a great opportunity to address the stereotype of what a person with a spinal cord injury can or cannot do," he said. As an advocate with Three Rivers Center for Independent Living and African-American, Mr. Bennett has a particular interest in how minorities adjust to SCI and ensuring that people are connected with resources. The 4 Wheel City event will feature a resource fair. "Minorities do not take advantage of [SCI] resources to the same extent as the majority," Mr. Bennett said. One of the reasons, he believes, is the struggle to come to terms with disability. "People with spinal cord injuries fight the perceptions of others, but we also fight our self-perceptions. You face discrimination within yourself." Mr. Bennett says he hopes that the positive message of 4 Wheel City will open people's minds to possibility. "I hope that people will come away saying, 10 minutes before I came here, I looked at myself as a person who couldn't do things. Now I feel that I can do a lot." 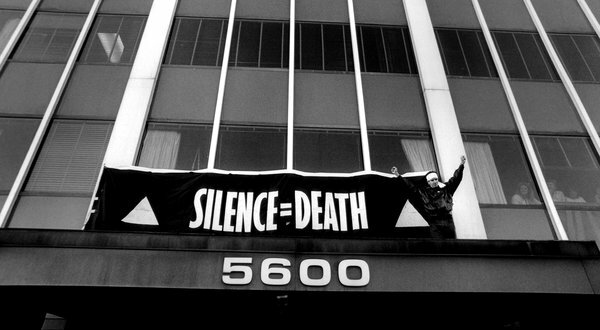 The currents of rage, fear, fiery determination and finally triumph that crackle through David France’s inspiring documentary, “How to Survive a Plague,” lend this history of the AIDS Coalition to Unleash Power a scorching electrical charge. This aggressive gay activist organization, better known as Act Up, formed in New York in 1987 and became the irresistible force that made seemingly immovable objects — government agencies and drug companies — give way, develop new treatments and speed them to the market as the AIDS epidemic spread unchecked among the gay population. Act Up came together by a kind of spontaneous combustion after a speech by one of its founders, the playwright Larry Kramer. An early demonstration, staged on Wall Street, protested the high cost of AZT, the first drug approved for people with H.I.V. some six years after the news about a mysterious illness that was killing gay men. The drug cost roughly $10,000 a year per patient. Burroughs Wellcome, the company that manufactured it, was eventually forced to lower the cost in what was the first of many Act Up victories. 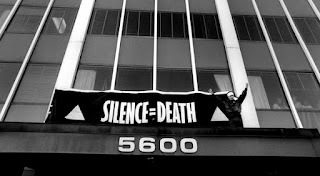 From the beginning the organization was extremely adept at using the news media, from its indelible logo — the words “Silence = Death” printed below a pink triangle on a black background — to its public demonstrations at the National Institutes of Health, the Food and Drug Administration and St. Patrick’s Cathedral. One clip shows members dumping ashes and bone fragments of AIDS casualties through a fence onto the White House lawn. The film is a briskly paced, straightforward chronology made up largely of footage shot mostly by the protesters (31 videographers are credited) and told in their voices. As the documentary gallops forward, it conveys the urgency of a desperate race against time. Many of the group’s leaders were H.I.V.-positive men facing imminent death. Their efforts were met with indifference and hostility from wary politicians. In New York City, Mayor Edward I. Koch called the demonstrators “fascists” after he was shouted down at a gay history exhibition, but he subsequently backtracked and used the words “concerned citizens.” In response to denunciations by Jesse Helms, the longtime North Carolina senator, Act Up members stretched a giant condom over his home. If the movie expresses equal measures of sadness and outrage, it is charged with the exhilarating excitement felt by soldiers on the front lines of battle. Its heroes may have been sick, but in their struggle they are fiercely alive. They include Mr. Kramer; Robert Rafsky; Ann Northrop; and, most visibly, Peter Staley, a formerly closeted Wall Street bond trader with H.I.V. who left his job and helped found the Treatment Action Group, an offshoot of Act Up. Self-taught in the science of AIDS, the group collaborated with pharmaceutical companies like Merck in the development of new drugs. A breakthrough came in 1996 with the arrival of protease inhibitors, whose workings are clearly explained in a remarkable animated segment. They produced the so-called Lazarus effect, in which the symptoms in seriously weakened AIDS patients disappeared in 30 days. The death rate plummeted. Increasingly sophisticated pharmaceutical cocktails have since made AIDS a chronic, manageable disease for those who can afford the protocol. Today, according to the film, seven companies manufacture the drugs, which have saved six million lives. The success of Act Up might serve as a template for other movements, like Occupy Wall Street, whose protesters also put their bodies on the line. But many of those protesters are not fighting the personal, immediate life-or-death battles faced by the members of Act Up, who quite literally saved their own lives. Ever since Christa Dahlstrom’s eight year old son was diagnosed with Asperger’s Syndrome, he’s benefited greatly from extra support at school for those things that just don’t come naturally for him, particularly the unspoken rules of social interaction. Dahlstrom, who lives in Oakland, found herself wishing there was a way to incorporate the ideas about perspective taking, give and take in conversations, or managing emotions into the shows her son loved. And she wondered why there wasn’t a television show to help teach social skills, the way other shows helped kids learn to read, or do math or learn about science. So she decided to make one herself. Dahlstrom teamed up with Jordan Sadler and Liesl Wenzke Hartmann, experts in social communication with a wealth of experience working with children on these issues. They too had been looking for lively and engaging ways to help families reinforce the learning from therapy sessions and social groups they conducted with kids with social communication challenges. The result is Flummox and Friends, off-beat, live-action comedy that helps kids navigate the social and emotional world. The Bay Area-based team just released the pilot episode, which was funded in part by a grassroots Kickstarter campaign. I watched the pilot, loved it and enthusiastically recommend it. The program focuses on the adventures of three quirky inventors and their neighbors. The show intersperses musical and animated segments with the live-action storyline. 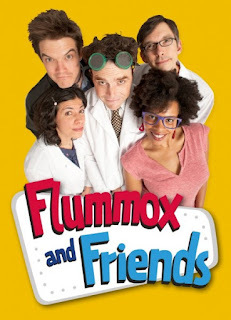 Families and educators can watch or download the pilot episode for free from the Flummox and Friends website. They can also download companion guides – for families or professionals – that have ideas for ways to integrate ideas from the show into conversations and activities at home and in the classroom. 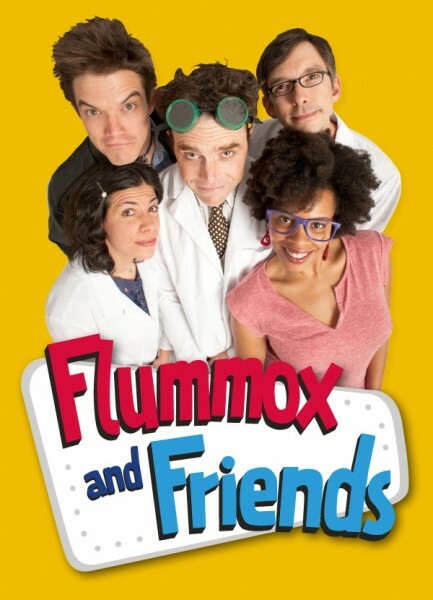 You can watch the pilot episode of Flummox and Friends and find out more about the show at www.flummoxandfriends.com. From Good Morning America, In the picture, Lauren Potter, who plays Becky Jackson on "Glee," with Jordyn Orr (who plays Robin Sylvester), Gail Williamson, and Robin Trocki (who played Jean Sylvester). When Gail Williamson was pregnant with her son Blair in 1979, there was no one on TV with Down syndrome to help make the diagnosis less scary. Today, doctors tell parents that their babies will grow up and be like "Becky," a character on "Glee" who has Down syndrome -- and quite a bit of sass as she rocks a cheerleading uniform at the fictional William McKinley High School. 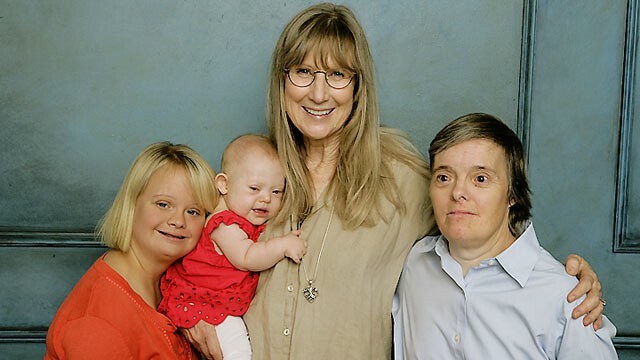 "It changes it for parents," said Williamson, the woman who connected "Glee" with Lauren Potter, the actress who plays Becky; Robin Trocki, the actress who played Sue Sylvester's big sister, Jean; and Jordyn Orr, the baby who made her "Glee" debut as Sue's daughter Thursday night. They all have Down syndrome. And the ladies of Glee are not alone, said Willliamson, who now runs Down Syndrome in Arts and Media after spending 12 years at the California Governor's Committee on Employment of People with Disabilities. Actors with Down syndrome will also be on "Shameless," "American Horror Story," "Blue Bloods," "Legit" and "The New Normal" this year, changing the public's perception of the syndrome one viewer at a time. Down syndrome hasn't been this prevalent in entertainment since Chris Burke played Corky Thatcher on ABC's "Life Goes On" from 1989 through 1993, Williamson said, adding that she remembers how life changed for Blair after it debuted. "Waiters would turn to him and say, 'What would you like to eat?'" she said, adding that they'd previously asked her what he wanted instead. "People didn't realize they could talk to that face … I saw a change. I saw the difference. And I saw it again after 'Glee.'" Potter, 22, was a baby when "Life Goes On" was on television, so she said she never had a television role model who had Down syndrome. But now, people will run across parking lots and line up for her autograph as if she's Santa Claus. "I just felt like I wanted to cry," Potter said. "They were saying that I was their inspiration. These fans are really my heroes." Her mom, Robin Sinkhorn, said the best thing is when college and high school students aren't afraid to say hello, and tell Potter that she inspired them to learn more about Down syndrome. Potter is now part of an anti-bullying campaign and is on President Obama's Committee for People with Intellectual Disabilities. "It's pretty amazing what this kid has done, and this gift that 'Glee' and the producers of 'Glee' have given her," Sinkhorn said. "She's reached out to a lot of people." To the National Down Syndrome Society, the awareness from TV shows is a huge help because it generates interest in their website, research and fundraising, said Julie Cevallos, the organization's vice president of marketing. She said web traffic data to ndss.org isn't available as far back as late 2009, when Potter made her "Glee" debut, but they've seen a 10 percent increase between 2010 and 2011. Considering that the average life expectancy for a person with Down syndrome went from 25 in 1983 to near 60 today, according to NDSS, there's plenty of health research to be done. NDSS is also working on a bill that would save families tax money if they include a person with Down syndrome. But changing people's perception is powerful all by itself, Cevallos said, adding that people find it surprising that many people with Down syndrome live independently and have boyfriends or girlfriends just like anyone else. "It's helpful in terms of getting an accurate picture out there," Cevallos said. "There's a lot of old stereotypes…A lot of people [with Down syndrome] are going to college and I don't think the average person understands that." In fact, Potter attends theater classes at a community college. Jamie Brewer, who has Down syndrome and plays Adelaide on American Horror Story, said she is getting her Bachelor of Fine Arts degree at a community college in Southern California where she lives. Just before talking to ABCNews.com, she was attending a math class. Brewer, 27, said she's proud of her acting, but being a role model for people with Down syndrome is just as important. "The biggest thing is advocacy," Brewer said. "You can really step up and say, 'Hey, this is who I am. I have these great talents,' and I want to be able to show that." Footballer Michael Essien is the latest star to put his name behind Rollaball. This documentary-in-progress tells the inspiring story of The Rolling Rockets – a team of Ghanaian polio survivors who are pioneering an extreme sport combination of skating and soccer. Rollaball is currently crowdsourcing production funding via a 30-day campaign on Kickstarter, the world’s largest funding platform for creative projects. “Skate soccer is one of the most inspiring forms of the beautiful game I've seen and shows how the sport can be adapted and enjoyed by anyone,” says Essien, who recently moved to Real Madrid on loan from Chelsea. Michael’s endorsement follows similar shows of support from the likes of AC Milan midfielder and Ghanaian international Sulley Muntari; paralympian Anne Wafula Strike; World Cup Skateboarding; and Australia’s National Skateboarders Association. “Michael’s endorsement is an inspiration for the entire team and makes us even more determined to host the first Skate Soccer Cup of Nations in Ghana next year,” says Albert K Frimpong, coach of The Rolling Rockets and executive director of SYDOGhana (Sports and Youth Development Organisation). Big World Cinema’s Steven Markovitz is producing the documentary, which won the Puma Creative Catalyst Award in partnership with BRITDOC, and has already been featured as a Kickstarter Staff Pick and on the curated Kickstarter pages of both Good Pitch and Okayafrica. Markovitz co-founded Encounters, Africa’s most prestigious documentary festival; co-produced MTV’s Best African Movie 2010, Viva Riva! ; and is producing the upcoming Jambula Tree, winner of the Arte Prize for Best Feature Film Project at Durban International Film Festival 2012. To help make the completed documentary possible, visit http://www.kickstarter.com/projects/rollaballmovie/rollaball-skate-soccer. Pledges start from as little as $10. As part of his endorsement, Essien has donated five autographed 10x12inch photographs of him taken after his Champions League victory. This reward is exclusive to the first five people to pledge $600, who will also receive Batik cloth wrap from Ghana; a box set of four DVDs from Africa; special thanks on the film end credits; and a digital download of the completed film, among other perks. f you've never heard of Skate soccer, that could soon change. 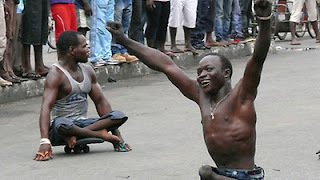 Skate soccer has taken hold in parts of West Africa, but a new documentary, Rollaball, is in the works that aims to elevate the sport and its participants to paralympic status. Skate soccer is a fast and physical team sport which combines soccer, skating and handball. It is played by people with physical disabilities, who roll around the field (a concrete surface) on homemade skateboards, trying to put the ball in the back of the net. Like soccer, the team that does not have the ball will do whatever it takes to prevent that from happening. Competitions are already being held at both club and international levels. "The first game of skate soccer was in Lagos, Nigeria, but it’s now spread throughout West Africa, Albert K. Frimpong, coach of The Rolling Rockets, said. "We played our first international game recently against Nigeria and are hoping to host an Africa Cup of Nations next year." Rollaball tells the story of the Rolling Rockets -- a team of Ghanaian polio survivors -- who find a new sense of purpose and dignity through playing the sport. During the games, these skate soccer pioneers become sports heroes in their communities, despite living with the stigma of polio and homelessness. Rollaball director Eddie Edwards spoke about the everyday challenges skate soccer players face. He hopes the movie will help them improve their lives, according to a press release. "When I first met the team two years ago, I knew they were something special," Edwards said. "These guys face massive challenges off the pitch, as polio is still stigmatized in Ghana, so many of them live on the streets and beg for a living. But despite all the odds, they’re incredible athletes who deserve to be stars. They have inspired something in me and I believe they’ll inspire many others. Both on and off the field, their stories are legendary." Producers are currently crowdsourcing funding to help complete the documentary project, and a 30-day campaign is under way on Kickstarter. never heard of Skate soccer, that could soon change. Skate soccer has taken hold in parts of West Africa, but a new documentary, Rollaball, is in the works that aims to elevate the sport and its participants to paralympic status. Skate soccer is a fast and physical team sport which combines soccer, skating and handball. It is played by people with physical disabilities, who roll around the field (a concrete surface) on homemade skateboards, trying to put the ball in the back of the net. Like soccer, the team that does not have the ball will do whatever it takes to prevent that from happening. Competitions are already being held at both club and international levels. "The first game of skate soccer was in Lagos, Nigeria, but it’s now spread throughout West Africa, Albert K. Frimpong, coach of The Rolling Rockets, said. "We played our first international game recently against Nigeria and are hoping to host an Africa Cup of Nations next year." Rollaball tells the story of the Rolling Rockets -- a team of Ghanaian polio survivors -- who find a new sense of purpose and dignity through playing the sport. During the games, these skate soccer pioneers become sports heroes in their communities, despite living with the stigma of polio and homelessness. Rollaball director Eddie Edwards spoke about the everyday challenges skate soccer players face. He hopes the movie will help them improve their lives, according to a press release. "When I first met the team two years ago, I knew they were something special," Edwards said. "These guys face massive challenges off the pitch, as polio is still stigmatized in Ghana, so many of them live on the streets and beg for a living. But despite all the odds, they’re incredible athletes who deserve to be stars. They have inspired something in me and I believe they’ll inspire many others. Both on and off the field, their stories are legendary." Producers are currently crowdsourcing funding to help complete the documentary project, and a 30-day campaign is under way on Kickstarter. If you've never heard of Skate soccer, that could soon change. Skate soccer has taken hold in parts of West Africa, but a new documentary, Rollaball, is in the works that aims to elevate the sport and its participants to paralympic status. Skate soccer is a fast and physical team sport which combines soccer, skating and handball. It is played by people with physical disabilities, who roll around the field (a concrete surface) on homemade skateboards, trying to put the ball in the back of the net. Like soccer, the team that does not have the ball will do whatever it takes to prevent that from happening. Competitions are already being held at both club and international levels. "The first game of skate soccer was in Lagos, Nigeria, but it’s now spread throughout West Africa, Albert K. Frimpong, coach of The Rolling Rockets, said. "We played our first international game recently against Nigeria and are hoping to host an Africa Cup of Nations next year." Rollaball tells the story of the Rolling Rockets -- a team of Ghanaian polio survivors -- who find a new sense of purpose and dignity through playing the sport. During the games, these skate soccer pioneers become sports heroes in their communities, despite living with the stigma of polio and homelessness. Rollaball director Eddie Edwards spoke about the everyday challenges skate soccer players face. He hopes the movie will help them improve their lives, according to a press release. "When I first met the team two years ago, I knew they were something special," Edwards said. "These guys face massive challenges off the pitch, as polio is still stigmatized in Ghana, so many of them live on the streets and beg for a living. But despite all the odds, they’re incredible athletes who deserve to be stars. They have inspired something in me and I believe they’ll inspire many others. Both on and off the field, their stories are legendary." Producers are currently crowdsourcing funding to help complete the documentary project, and a 30-day campaign is under way on Kickstarter. The achievements of Russia's Paralympians can act as a powerful stimulus to stop parents from abandoning their disabled children, six-time Paralympic swimming gold medalist Roman Makarov (pictured) said Sept. 13. Disabled people are marginalized, often stigmatized, in Russian society, where basic infrastructure such as wheelchair ramps and disabled toilets is lacking in the big cities. But many old prejudices were broken down in the wake of Russia's best-ever Paralympic performance in London with 102 medals, 36 of which were gold. “In Russia, parents often abandon children who have some problems with their health,” Makarov said. London 2012 received the highest Russian television exposure of any Paralympics in history. Five-time gold medalist Oksana Savchenko said after the Games that she was stunned by how much more exposure the Paralympics had compared to Beijing 2008 and that it would breed new respect for disabled people. Makarov won gold in the 100 meters butterfly for the visually impaired in London, his sixth career Paralympic gold medal. From Dan Pescod, who is campaigns manager for the Royal National Institute of Blind People and the European Blind Union. It is a cliché, but true, that we live in an information age. We Tweet from our mobile phones, send emails from our tablets and watch television on our laptops. But how do blind and partially sighted people cope with this brave new world? 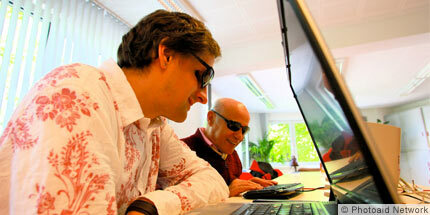 To try to put ourselves in the shoes of a blind person, let us focus just on access to websites and books. If space allowed I could fill another article explaining how television programmes, TV sets, radios and mobile phones - to name but a few - are also often needlessly inaccessible. Firstly, the good news is that technology can overcome many of the barriers the information age would otherwise present to blind people. With more and more shops, government and information services going online - it is good to know that some websites are designed accessibly to be 'read' by 'text-to-speech' software and be easily visible to those with low vision. Guidelines for developers exist to achieve this. As for books, it is possible to either use text to speech software to 'read' digital files or text, or for an accessible eBook reader to hear to a synthesised voice read the book. There are even digital devices that produce 'refreshable' braille on a braille keypad. Here is the bad news, however, summed up in two 'onlys'. Only a tiny percentage of websites are fully accessible to blind and partially sighted people. And only around 5 per cent of books published are produced in formats, whether electronic or physical - like paper large-print books - which can be read by blind people or the machines they use. What has the European Union done in these areas to ensure accessibility? With regard to websites, in 2007 the European Commission published a study showing that less than 3 per cent of key public and commercial websites in each member state met accepted international accessibility standards. It has since held several conferences on 'e-inclusion', but there has been little practical progress. As online public services are gradually replacing face-to-face interaction, blind people are still waiting for the commission to publish draft legislation to ensure that all public websites and online portals providing basic services to citizens are fully accessible. Proposals were expected at the end of 2011. They have yet to materialise. One of the ways we can end the 'book famine' in which only 5 per cent of books are made accessible to blind people is by reforming copyright law. To cut a complex story far too short, the European Blind Union is campaigning with the World Blind Union for a treaty at the World Intellectual Property Organisation - the United Nations body that makes international copyright law. Our treaty would allow the pooling of resources by allowing organisations like the Royal National Institute of Blind People, in the United Kingdom, to share scarce accessible books with other countries. The commission has been sceptical about this proposal. In 2010, it got us around the table to try to work out a voluntary agreement with European publishers - mirroring a similar 'stakeholder dialogue' it set up - with modest results on TV accessibility. The European Parliament has been strongly in favour of the treaty, and the European Council has been against it. So, last October, we petitioned the EP explaining that the commission and council were letting blind people down by not backing the call for a treaty. As a result, the parliament plenary grilled European Internal Market and Services Commissioner Michel Barnier in February. Barnier told MEPs that he would seek a "negotiating mandate" from the council so that the EU could, finally, negotiate at the WIPO for the binding treaty we have long called for. We await the council's response. In summary, there have been repeated public commitments from the council, from as far back as 2002, and support from the European Parliament - to legislate as well as discuss accessibility for blind and other disabled people. The entry into force of the 2008 UN Convention on the Rights of Persons with Disabilities has not yet spurred the EU into strong enough action on access to information. Stakeholder discussions and conferences only take us so far. Now is the time for the commission to propose clear and useful EU accessibility legislation and for the member states to help blind people worldwide by unambiguously backing a WIPO book treaty. The commission and council can make 2013 the landmark year in which they demonstrate they mean business when it comes to blind people's access to information. The technology is there. Now we need the political will to match it. 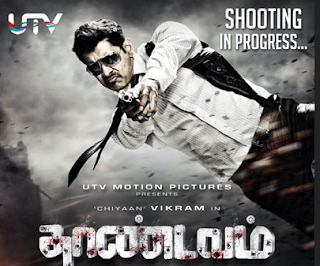 The most-anticipated Tamil action thriller movie "Thaandavam" starring Vikram, Anushka Shetty and British beauty Amy Jackson revolves around a blind-man who uses human echolocation technique to seek revenge. Directed by AL Vijay and produced by UTV production, the film is all scheduled to hit the screens on September 28. Vikram and Vijay have reunited for "Thaandavam" after delivering blockbuster "Deiva Thirumagal." In their previous movie outing, they narrated a heart-warming relationship between a father and a daughter, and now they have come up with a revenge story. Buzz is that Vikram is playing the role of a police officer but doesn't wear the uniform. His character in the movie is said to be inspired by Daniel Kish, an American-based human echolocation expert. Daniel Kish has been roped in to the "Thaandavam" project by the filmmakers to assist the protagonist to understand the techniques of echolocation and get into the skin of the character. In his forthcoming film, Vikram set himself on a revenge quest and fights his enemies despite the fact that he is visually impaired using echolocation method. Human echolocation is a state of the art, where humans are able to recognize the objects/people in a surrounding and sense their movement towards them to spontaneously respond by actively generating sounds. Vikram had earlier essayed the role of visually-challenged person in "Kasi" (2001). One of his movies "Kanthaswamy", (2009) too has a fight sequence, where he took on his foes blindfolded by sensing their foot movements. Going by the trailer of "Thaandavam", Vikram figures out his enemies and takes them down by making clicking sounds with his mouth. 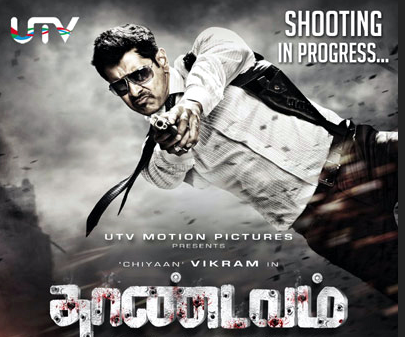 "Thaandavam" trailer promises big and assures a sure-treat for the action enthusiasts. The film will also be released in Telugu as "Shiva Thandavam." SAN CARLOS PARK, Fla. — When she moved eight years ago, Eliana Tardío was so pregnant, she doubted the airline crew would allow her on the plane from South America to join family in Southwest Florida. Weeks later, baby Emir was born in Lee County. In theory, Tardío knew what was coming. The doctors in Bolivia told her the same day she learned she was expecting a boy. "Before ... the worst thing ever was to have a child with Down syndrome because in my mind, my child wasn't going to be able to do anything, that everyone was going to laugh at him, that he would never learn, that they would institutionalize him, things like that that are supremely ignorant," said blogger Tardío, who Latino news website Voxxi recently named one of the most powerful Latinas in social media. "I just didn't know." She stumbled through Emir's first years, putting him in a special needs class. He was "low-functioning," specialists said. "What that did to my son was make him introverted, totally timid. He was scared of other children because he was closed off in a world that wasn't real, with six other kids with Down Syndrome," said Tardio, now 34. But the problem wasn't Emir's condition, she realized. It was her. "My own limitations limited him." As family lore goes, before his younger sister was born, Emir already had a nickname for her. The day she arrived five years ago, he went up to her as she laid in the hospital. "Hi, Yaya!" he told her. And the infant girl, as their mother remembers, lifted her head in acknowledgement. Tardío wanted a sibling for her son. She also didn't want people to think she was scared to have a second child. There was no prenatal testing done to check for Down syndrome as she had with Emir. Tardío felt confident she could handle whatever hand she was dealt. Plus, doctors said her second child had only a 5 percent chance of having the same condition. Latino news website Voxxi recently named Eliana Tardío one of the most powerful Latinas in social media. When Ayelén came into the world, the nurse told Tardío she was OK.
"She has Down syndrome, but she's good," Tardío recalled her saying. This time around, she knows what to do, what to ask. "God doesn't make mistakes," she said of Emir and Ayelén. "They are perfect for each other." Like many young parents, Eliana Tardío has filmed, photographed and blogged her children's early years. What started as a labor of love and a way to reach out to other parents is now a career, an invitation to the White House, two books, a private online network for the parents of special needs children, and several bilingual blogs. Her articles and videos focus on the practical, educational and bicultural, with Ayelén and Emir in starring roles.With a million views of the San Carlos Park family's YouTube videos, the children are accustomed to their mom trailing them with a camera. "When they go to bed at 8 every night, that's my time to think, 'OK, what did I do today? What did we achieve that will help other people?' 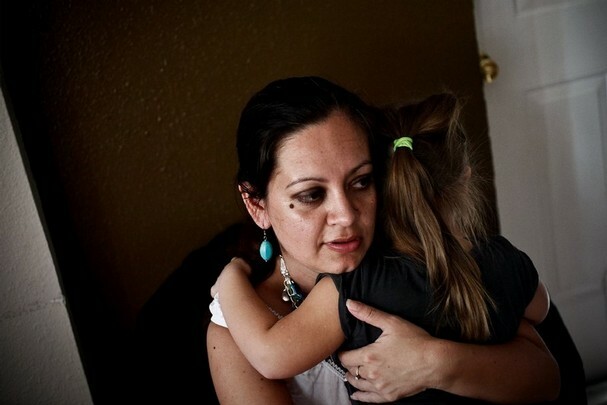 It's a way of seeing that simple things make a difference in your children's lives," Tardío said. A 7-minute clip on the family's YouTube channel features Tardío explaining to parents in Spanish how to encourage multiple language use at home and stimulate communication skills. The children are featured doing tasks around the house — helping out in the kitchen or with laundry — as part of learning about counting, colors, or measurements in another language. From a background in public relations in Bolivia, moving to the U.S., where people had a hard time understanding her English and her advanced degrees carried little weight, Tardío had to re-establish herself. Their lives wouldn't stand out — bus rides, swim lessons, iPad games, house chores — if it weren't for the online presence they have cultivated, and the lessons could apply to bilingual families in general, not just the ones with special needs. "That's what has also helped this become a movement, that people even without special needs kids enjoy reading the articles, seeing everything, because it's not focusing on suffering or lamenting or what can't be done," Tardío said. In addition to her personal blog, Walt Disney Company's parenting website Babble.com hired Tardío as a bilingual blogger this summer. Writing primarily in Spanish is an attempt to de-stigmatize special needs in the Hispanic community, she said. "I came to this country knowing nothing about the laws or the education system ... I would go to the parent-teachers meetings and just say yes, because I didn't know how things functioned," Tardío said. Ayelén, 5, is a now a kindergartner at the same Estero public elementary school where Emir, now 8, started first grade this school year. Tardío describes her children in storybook terms. Emir is noble, she says. Quiet. An athlete who finds peace swinging in his backyard. Ayelén is the "rebellious princess," prone to striking a pose with one hand on her hip, or going into a meltdown when the family's small dog wriggles out of her grasp. While they are at school, Tardío works part-time as a family resource specialist for the Health Planning Council of Southwest Florida, and as an educational outreach liaison for Healthy Start Southwest Florida, pushing for the inclusion of special needs children in regular classrooms. "In the beginning, you want to protect them from the world. You don't want anyone to say anything to them, anyone to hurt them. And you limit them in a way ... because you're scared. You still don't know their abilities," Tardío said. "As you evolve, you think, 'what am I doing?' The best I can do is open the world up for the kids and educate people." On the September 10 finale, we watched the culmination of a stellar and emotional season of MasterChef. The level of talent this year had an almost pioneering quality to it – and our final two, Josh Marks and Christine Ha, both exemplified this beautifully in the finale. The last challenge from which we select the winner will always be a nail biting experience. However, this year felt a little different. Since the finale was pre-taped, we had a viewing party with Josh, Christine and their families at Eataly in New York. I was able to relive the final day and its excitement alongside Christine and Josh. When the challenge was happening for the last time in the MasterChef kitchen, we judges found ourselves experiencing an odd yet comforting sense of reassurance. They had both already nailed it. There was no worry of potential failure, no anxiety of a possible extreme mishap – not with these two. In my eyes, they were already professionals on whom I could depend to produce food I knew I would not only enjoy but be proud of. 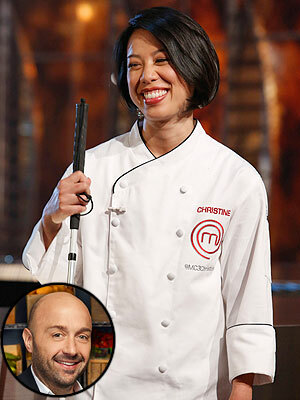 What was one of the toughest of tough calls, we had to reward Christine's performance over Josh's. The degree of talent she displayed overall in her menu surpassed his. But to be fair, it is difficult to think of what Josh put forth as something that "failed." Though the title might have escaped him, a career in the culinary world will certainly not. Youthful, ambitious and fiercely passionate, he has it all, including the chops to carry him through a very challenging field. I expect nothing but great things from Josh, and will always be proud of his performance on MasterChef, no matter what he goes on to pursue. Midway through of this year's competition, my money would not have been on Christine for the win – and not just because of her disability – because she just didn't come across as the typical frontrunner. With Christine, slow and steady won the race. She subtlety climbed her way to the top by performing consistently well, triumphing over her own self-doubt, all the while maintaining her signature grace and integrity. It was thrilling to watch. And I can say with absolute confidence there was no one more deserving. Needless to say, if you are considering coming out for MasterChef season 4, you had better be prepared because the bar has just been flung over the moon. Thank you for sharing in this journey with us, and be sure to encourage any exemplary amateur home cooks you know to try out – season 4 auditions begin this month! All info can be found at masterchefcasting.com. 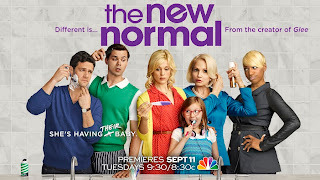 "Abnormal IS the new normal" - that's the theme Ryan Murphy's new NBC show "The New Normal," which is about a gay couple wanting to become Dads and their surrogate and her family. Murphy, creator of “Nip/Tuck” and “Glee,” always represents some disability or physical difference in his shows and this one follows that structure. On the one hand, "Nip/Tuck" had a story arc starring the talented LP actor Peter Dinklage as a manny (male nanny), who discusses acceptance when a baby on the show was born with a physical difference. On the other hand, Murphy is responsible for "Glee," where a non-disabled actor plays wheelchair user Artie, much to the dislike of many people in the disability community. She says, “My husband’s regular sized, so there’s a 50 percent chance my daughter would be a part-time Christmas elf like me. I told my husband, we didn’t have to have kids. We didn’t have to risk it. My husband says he loves me, so why wouldn’t she be loved in this world. Did the LP mom and her daughter really have to drive away in a pink Barbie car? This doesn’t bode well for how other characters with disabilities or physical differences will fare. That scene pretty much sums up how a Ryan Murphy show goes - sometimes it makes a great point about acceptance and other times it plays on horrible stereotypes. The show has been attacked already by some conservatives, and a Mormon-affiliated station in Utah, KSL, says it won’t air it. NBC responded to that censorship saying the show makes "a statement about the changing definition of the nuclear family." "The show is against bigotry and hatred in every form and will make that point whenever characters say outrageous or unacceptable things about race, religion, sexual identity, disability, or tolerance of people outside the definitions of `normal,'" the network said in a statement Sept. 10. The other cast members are Georgia King, who plays single mom, surrogate hopeful Goldie, and her young daughter Shania is played by Bebe Wood. To ramp up more stereotypes, NeNe Leakes plays an over-the-top sassy assistant to the Bryan character, and Ellen Barkin plays Goldie’s grandmother, who spews bigoted remarks in every line of dialogue. My biggest fear about the show is that in trying to satirize people who make bigoted statements, it lends a kind of back-handed acceptability to people who actually are racist, homophobic, ableist, sizeist, etc. That is a “new normal” we can all do without. "Fighter" director tackles mental illness in new film, "Silver Linings"
After Oscar success with 2010's gritty comeback tale "The Fighter," director David O. Russell is winning early praise for another movie about a man struggling to make the most of a second chance. "Silver Linings Playbook," which had its world premiere at the Toronto International Film Festival, features "Hangover" comedy star Bradley Cooper as a mentally ill man trying to rebuild his life after losing his spouse, home, job and freedom. Jennifer Lawrence, 22, who recently shot to fame in young adult action movie "Hunger Games," plays a widow in her own fight with depression who offers to help him reconcile with his estranged wife. The script was informed by Russell's own experiences with people who have struggled with mental health problems, the filmmaker said on Sunday. "That's definitely a big motivation in the story, to take off the stigma and that's a great thing for a filmmaker, to have something that's charged ... radioactive, that people are scared of," he told a news conference. The film's lead characters, Russell added, are "two of my favorite kinds of people because they inevitably tell the truth, unvarnished, bluntly." Still the director, who has also made darkly comic films like "Spanking the Monkey" and "Three Kings," said the issue of mental health shouldn't overshadow the film's focus on relationships. "Just as 'The Fighter' to me was not about fighting, this movie to me is not about mental illness. To me, it's always about the people and the dynamic of the people," Russell said. "That's what rivets me and grabs me by the throat for the whole movie." The film's blend of family drama, comedy and unlikely romance has earned early praise from critics. The Hollywood Reporter described the film as "wonderful" and said Russell "brings out the best in a superlative cast led by Bradley Cooper and Jennifer Lawrence, both of them showing unexpected colors." Screen Daily praised the "the brave, resonant performances" from Cooper and a "never-better Jennifer Lawrence." Strong performances also helped make Russell's 2010 movie "The Fighter" a critical hit, with actors Christian Bale and Melissa Leo both winning best supporting actor Oscars. Cooper said he felt like he'd hit the jackpot when he learned he was cast by Russell, who he said worked intensely to ensure everyone captured the nuances of their often-complicated characters. "All of us I can say, were very out of our comfort zone, every day, in a beautiful way, the way you want to be as an actor," Cooper said. Lawrence said she was drawn to the project by the quality of Russell's script. She dismissed the idea that she might feel under pressure with this film given the box-office success of "The Hunger Games". "I don't really feel that much pressure because, either way, I get paid," she joked with reporters. 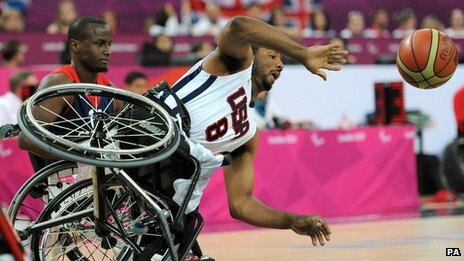 The International Paralympic Committee (IPC) is to scrutinise potential broadcasting partners more carefully in future after US rights holders NBC failed to show any live 2012 action. NBC scheduled four hour-long highlights programmes on the NBC Sports channel, followed by one 90-minute round-up. IPC president Sir Philip Craven said of future media partners: "We'll examine their values as they will examine ours. "If the values fit, we've got a chance. If they don't we'll go somewhere else." The London 2012 Paralympic Games ended on Sunday with a spectacular closing ceremony featuring performances from Coldplay, Rihanna and Jay-Z. 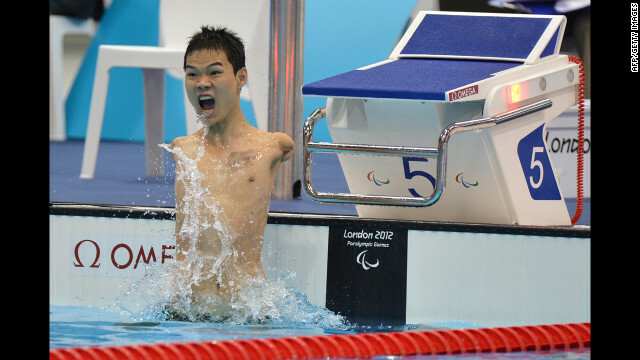 Channel 4 aired 400 hours of Paralympic coverage in the UK, while Australia's ABC screened more than 100 hours. In Japan viewers had a nightly one-hour highlights programme. Its capital Tokyo is bidding to host the 2020 Games. NBC did not show any live action and its 90-minute round-up programme will not be broadcast until 16 September. Yet the broadcaster said the total of five-and-a-half hours represented an improvement on the 2008 Paralympics in Beijing, when viewers got a single 90-minute highlights package. "The people of the USA, for example, particularly the parents and families of the athletes, they are all ready for Paralympic sport," Sir Philip added. "Take the plunge, take the risk and then you'll succeed." NBC said its coverage of the London 2012 Olympic Games was the "most-watched television event in US history", with 219 million people watching over the duration of the event. But it drew criticism for delaying the broadcast of popular events until prime time hours. 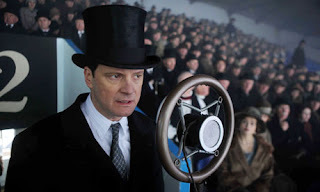 Viewers also complained of problems with online streaming and edited versions of the opening and closing ceremonies. On Sunday, Paralympics superstar Oscar Pistorius placed second in the 200-meter dash, then accused a pair of fellow competitors of racing on unfairly lengthened prosthetic legs. A few days later, the South African hit the track again to run the 100 meters. Did Pistorius defend his gold medal from 2008? If you went to ESPN.com on Thursday evening, you wouldn’t even know that Oscar Pistorius exists. In the hours after the race, there were no items about Pistorius on the site’s front page. (Among the top headlines: “Jets' owner: Circus label is driven by media,” “Holmes: Tebow deal initially floored Sanchez,” and “3rd-grader sent home for banned Peyton jersey.”) This wasn’t an atypical omission: There was no indication on the front of ESPN.com that the Paralympics were happening at all. To find the results of the 100-meter dash, you had to mouse over the “More Sports” flyout menu, then click on “Olympic Sports.” At the top of that page is a headline—“Pistorius surrenders another Paralympic title”—that leads to a 100-word wire story. The Blade Runner, it turns out, came in fourth. ESPN’s decision to ignore the Paralympics is perhaps less shameful than TV rights holder NBC’s move not to broadcast any of the games live. But ESPN’s lack of coverage is still indefensible. There is no full-time ESPN staffer—online, radio, or television—in London to cover the world’s second-largest sporting event (4,200 athletes, 165 countries). The Worldwide Leader essentially defines what is and isn't sports news in this country, and the company’s call to disregard the Paralympics has relegated the event to eighth-tier status. If my count is accurate, the ESPN family of Web properties has produced eight pieces of original, written content since the Paralympics began on Aug. 29: two blog posts by Paralympics fencer Cat Bouwkamp, four blog items by Grantland’s Dermot Hunt, one post in ESPN Playbook’s Tech blog, and a feature by ESPN the Magazine’s Ryan McGee on race car driver Alex Zanardi’s journey to Paralympics gold after a horrific accident. By comparison, the site’s Tim Tebow topic page—there isn’t a topic page for the Paralympics—indicates that there have been at least six original pieces of written matter in the last two days focusing on the Jets’ backup quarterback. Even if it’s unrealistic to expect ESPN to be the all-knowing and all-seeing Sports Panopticon, it’s fair to demand more than what we’ve gotten from the media giant. The Washington Post had a great feature on a swimmer named Bradley Snyder who won gold in the 100-meter freestyle after losing his eyesight in a bomb blast in Afghanistan. The Guardian has a compelling interactive on the physics of running on blades. And most news outlets in the United States and abroad have run something on “boosting,” the terrifying practice in which athletes with spinal injuries harm themselves—that can include intentionally crushing their own testicles—in order to boost their heart rates and enhance performance. By comparison, ESPN has had no features on the triumphs of unknown Paralympians, no interactives, and nothing on boosting. ESPN shouldn’t feel compelled to cover the Paralympics out of a sense of responsibility or do-gooderism. It’s also understandable that there’d be less coverage of the Paralympics than the Olympics—we’ve made the same editorial decision here at Slate. And the network surely faces coverage challenges on account of its limited access to video highlights, which have been parceled out primarily to NBC. But outright neglect is not a legitimate journalistic strategy. Given the scope and importance of the event, the athletes’ remarkable stories, and the fascinating cultural and technological angles, ESPN surely could have spared a single blogger to cover the Paralympics. It could have asked Wayne Drehs, who wrote a bunch of great features during the Olympics, to stick around London, or perhaps sent Wright Thompson or some other longform wizard to do a couple of long takeouts on Paralympians. And at the very least, someone could have taken the five minutes to create a Paralympics topic page and a standing link on the site’s front page. In the meantime, the Paralympics blackout has continued this morning, with no content from the games on the home page. Even on that hard-to-find Olympic Sports page, the Paralympics have been completely buried. The splash image at the top of the screen advertises a piece on Allyson Felix’s “four tips for a successful fitness regimen.” A wire story on Pistorius’ 200-meter contretemps is in the fourth position in that top promotional box. After this Sunday, the last day of the Paralympics, that story will likely disappear entirely. ESPN.com readers won’t miss it. Why would they, considering they never knew it was there in the first place.